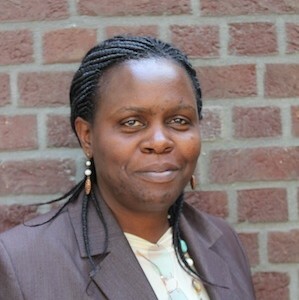 Susan is a trade and rural development specialist for more than 15 years, working on agricultural value chains and particularly on production and trade competitiveness issues, and mainstreaming sustainable land management and environment issues such as climate change in trade and agricultural policy. She has worked with actors at national, regional and continental level to explore innovative solutions to the continent’s food security and rural development challenges and shaping the trade and sustainable development agenda in the East and Southern Africa region. She is enthusiastic about her work, and demonstrates a professional attitude and approach to work, and admirable team work and interpersonal competencies. Susan is currently working with the Food Security Programme on the establishment of an innovative multi-stakeholder regional platform to address policy and logistical constraints to regional trade in selected agricultural value chains in the East Africa Community region. She is working with the team to carry out a desk review of the selected value chains and conduct national level consultations in the selected countries to inform the establishment and operationalisation of the regional platform.